It’s not a secret that technology seems to be evolving more rapidly than we are. There’s an app to control nearly every aspect of our lives and there have been more accidents caused by people looking at their cell phones than we can count. We don’t have to be home to watch our cable TV anymore, and more and more people every day are opting out of the whole cable thing in favor of digital streaming. The type of computer that used to take up a whole desk has been decked out and upgraded and now fits inside a chip the size of a fingernail to power even the simplest technology. The same can be said for vehicular technology. There was once a time that air conditioning wasn’t standard equipment, and windows were manual; there was no other option. Remember the days when a CD player was the latest and greatest that car technology had to offer? Just look at what we’ve got these days, and look back at what we used to have, and ask yourself if it can get any better. A lot of these amazing features come standard on a number of our favorite vehicles ranging from the Toyota 4Runner SUV to the Mazda3 sedan. There is always the bigger and better when it comes to automotive technology, and each year needs to offer the next best thing. Standard Parking Assist – Raise your hand if you can still parallel park. Now put them down if you can’t do it on crowded city streets. Some cars offer parking assist as an option, but we want it standard in most, if not all cars. Imagine being able to park your car on a dime without having to ponder whether or not you’re going to have to try six or seven times to get it into a tight space. Parking assist takes the guess work out of parallel parking and eases your mind. Car Control Apps – Some of the upscale models offer their owners the ability to control some aspects of their cars from their smart phones, but more manufacturers are working on apps for most of their models. These apps will allow drivers full access into the integrated computer system of their car, including gas levels, maintenance needs, and tire pressure. Some manufacturers are creating applications that will allow drivers to start and/or disable their vehicles from inside the app, to track their vehicle’s location if one of the kids has it, and to call for help if you’re experiencing car trouble. Automatic Steering – The idea of a car steering itself is something out of sci-fi shows, or is it? Nope. Lane keeping technology is being added to more and more cars as time goes on and the next step is full-on automatic steering. This can be both a blessing and a curse because no amount of technology can correct bad or unsafe driving, and it does create the possibility of people not paying attention to the roads. Too many people will rely on this technology to drive for them, and this could make for unsafe conditions. Better Back-Up Cameras – When they first became a part of automotive technology, backup cameras used a single angle to look for objects close to the vehicle’s rear end. Now, they’re getting progressively better, offering multiple camera angles to see not only vehicle’s rear, but also the front end, rear sides, and sometimes an aerial view. These cameras have simplified the parking experience for many, as well as backing out of a space in a crowded lot. In 2017, it would seem the technology is only going to get better and become more readily available. Upgraded Headlights – It may seem like nothing in comparison to the other tech that’s being offered, but headlights are pretty important. In some cars, gone are the days of flipping the switch between low beam and high beam, as many new cars are offering LED lights that sense when the high beams are necessary. Headlight technology is drastically improving for 2017 as well, as most manufacturers are switching over to the LED headlamps that are brighter, cast a wider beam, and rarely, if ever, need to be replaced. This is great news for the people who’ve ever been pulled over for having a headlight out, as most LEDs won’t allow this to happen. Whether you’re following the progression of the driverless car, or you’re happy with just having an MP3 option, technology is pretty important. The latest and greatest of all the technology is assisting drivers in getting them from point A to point B in a safer way, while some of it is just simplifying life on the road. 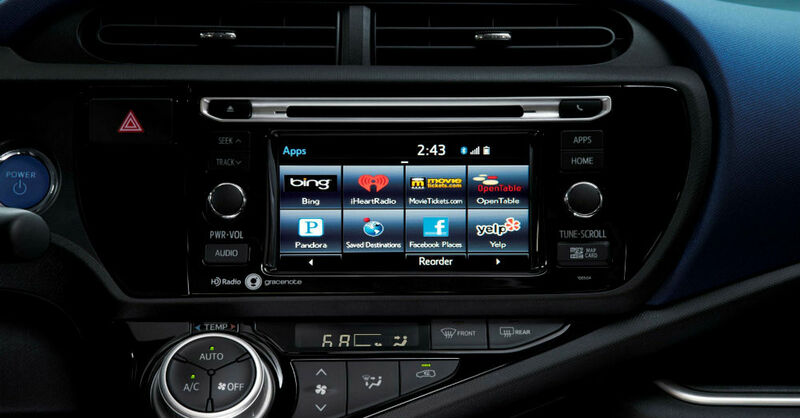 Pick your poison, driver safety technology and “infotainment” will just keep getting better.